The Utah Division of Waste Management and Radiation Control has announced its plan to let the White Mesa uranium mill keep running for another 10 years by renewing the mill’s radioactive materials license. The public has until July 31, 2017 to weigh in and urge the division to take every precaution to protect southeastern Utah’s communities, lands, waters, and wildlife. The radioactive materials license is one of three main permits that control operations at the uranium mill; it is effectively the mill’s operating permit. It governs how much uranium and radioactive waste the White Mesa Mill can process and how the mill manages its large waste pits that permanently store radioactive and toxic waste directly above southeastern Utah’s groundwater aquifers. It also lays out how the mill owners will clean up the site after the mill stops operating to reduce the chance of poisoning nearby communities, lands, waters, and wildlife. The proposed license misses an opportunity to minimize the public-health and environmental risks the mill creates and reduces the odds that the mill’s owner and operator, Energy Fuels, walks away from cleaning up the White Mesa Mill at the expense of taxpayers and the health of southeastern Utah. The Grand Canyon Trust’s concerns about the White Mesa uranium mill — the last of its kind in the country — are simple. We know that uranium mills in Monticello, Tuba City, and Moab have caused groundwater pollution and poisoned air, hurting nearby communities — damage that is still occurring decades after the mills have stopped operating. It’s a concerning pattern that has caused human suffering and long-term damage to lands, water, and wildlife across our region. We worry that the same problems are occurring right now at White Mesa and may persist long into the future. So when the state of Utah issues an operating permit for the White Mesa Mill, we take it seriously. We want to be sure that regulators are taking every step they can to avoid repeating the patterns of the past. Take Monticello for example, a 2,000-person town located a short drive from White Mesa. A mill operated in Monticello from 1942 until 1960, producing uranium and vanadium for the U.S. nuclear weapons program. Milling activities generated thousands of cubic yards of waste containing uranium and heavy metals, which contaminated soil, surface water, and groundwater with heavy metals and radioactive constituents. Public health experts and the state of Utah have been studying elevated cancer rates in Monticello. These studies have revealed that cases of lung cancer occurred three times as frequently in Monticello as among Utah's population as a whole and also found elevated stomach cancer levels in some test groups. 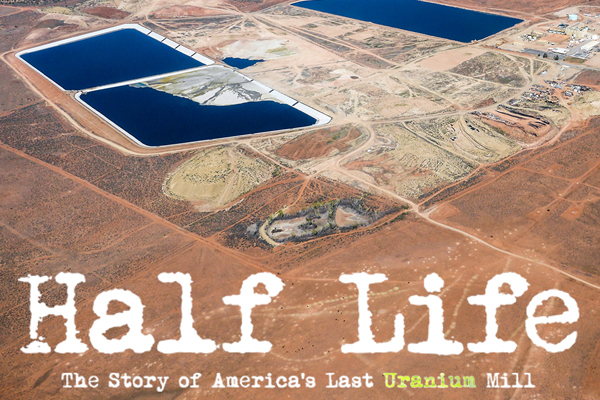 The methodology of the study prevented the authors from being able to definitively tie the high cancer rates to any cause, including the operation of the uranium mill. However, the study concluded that “these results suggest a potential link.” With public health risks like these, why not take every precaution possible? But only about 30 miles down the road from Monticello, the state of Utah may not learn from the lessons of the past. If the license that Utah plans to issue to the White Mesa Mill remains unchanged, we fear a situation similar to the one in Monticello could develop — once again at the expense of southeastern Utah. Underinsured Polluting. The license requires Energy Fuels to guarantee that the state of Utah will get a lump sum to clean up the mill if Energy Fuels doesn’t clean it up, much like an insurance policy. If that guarantee is too low and the company walks away without cleaning up the mill, those living nearby will suffer from whatever toxic mess is left behind until taxpayers fund a cleanup. Right now, the company’s guarantee is about $20 million, a figure that reflects the company’s estimates of how much the cleanup will cost if everything goes according to plan, including a cushion of just over $3 million for unforeseen costs. But cleaning up a uranium mill is a complicated and uncertain venture that can cost way more than $20 million. Energy Fuels and the state of Utah are basically planning for a near best-case scenario, but the point of insurance is to deal with the risk of a worst-case scenario. Utah should make Energy Fuels bear that risk, not the public, by requiring the company to put up a much larger guarantee. Missing Cleanup Deadlines. Since 1994, the law has required Energy Fuels to have a deadline-driven plan for cleaning up the mill in phases while it’s still operating. Beginning in 1997, the company has submitted several cleanup plans that have no deadlines at all. We think some cleanup obligations have languished as a result. Though the company’s new proposed cleanup plan has some enforceable deadlines, others are vague, leaving too much leeway about exactly what has to be accomplished when. Utah should set enforceable deadlines for each step of the cleanup process. Risky Business. The mill was built in the late 1970s to process mined uranium ore from southeast Utah and the surrounding region. Since the 1990s, the mill’s owners have been chasing a new source of revenue by running “alternate feeds” through the mill and disposing of the resulting wastes on site. These feeds include uranium-bearing wastes from other contaminated places around the country and may be more radioactive and toxic than typical uranium-milling wastes. The state of Utah used to oppose this practice, but is now planning to let Energy Fuels process a new alternate feed — a radioactive sludge left over from enriching uranium at a defunct plant near the Cherokee Nation in Oklahoma run by a company called Sequoyah Fuels. Discarding wastes like the Sequoyah Fuels sludge at White Mesa is a dubious practice that relies on the convoluted legal reasoning of a few technocrats, not a painstaking, public debate about whether to bury this problem at a uranium mill not built for that purpose. For that reason alone, Utah should keep the Sequoyah Fuels waste out of White Mesa. Are you worried? So are we. And the state of Utah needs to know that we care about the future of this place — about our neighbors, our children, our backyard, our hunting grounds, and the rivers and springs that give life to this desert landscape. You can make a difference by raising your voices. Join us in taking action now. The Utah Division of Waste Management and Radiation Control will accept public comments by email and postal mail until July 31, 2017.